As we enter our 21st year of study of the Shannon dolphins. 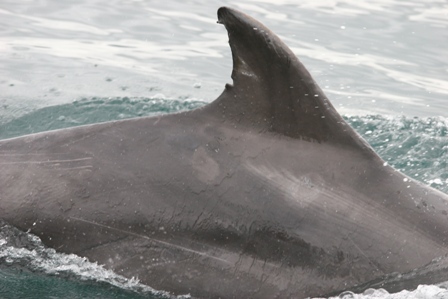 No 1 - the first dolphin photographed 20 years ago - was recorded this weekend in Brandon Bay, Co Kerry. 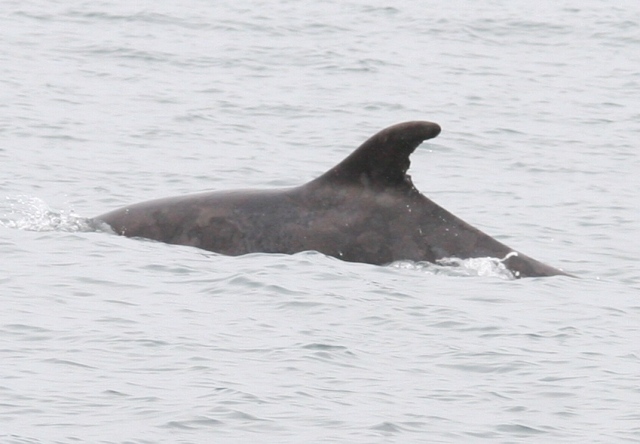 This dolphin has been recorded most years since 1993. Ironically this individual was one of the last dolphins photographed last year, from Dolphinwatch Carrigaholt tour boat in October 2012. CN1 in Brandon Bay, Co Kerry on 25 May 2013. Photo courtesy Colin Heaslip. No 1 was photographed in a group of three but a larger group of up to 40 bottlenose dolphins was also observed in Brandon Bay later in the day. There were many well marked individuals most known from the Shannon Estuary. Group with calves in Brandon Bay, Co Kerry on 25 May 2013. 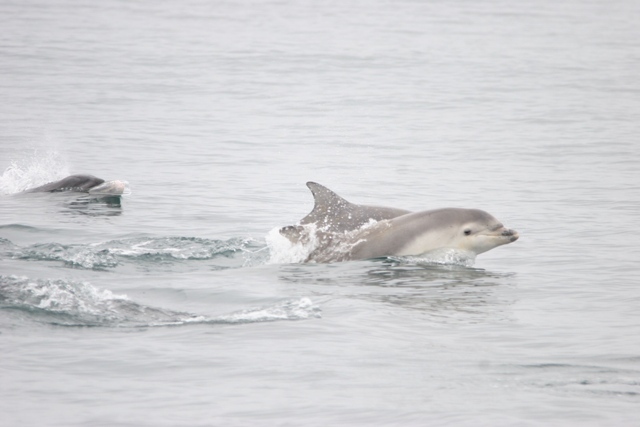 These dolphins were recorded during a survey of Tralee and Brandon Bays funded by North and East Kerry Development. As part of this survey we have also deployed three CPODS to determine the presence of dolphins in these bays over the summer. Perfect photo-id image. Brandon Bay, Co Kerry on 25 May 2013. It has long been known that Shannon dolphins regularly use Tralle and Brandon Bays but how important the area is in not clear. If we are to protect the Shannon dolphins we need to ensure we identify all their important habitats and extend protection to these areas if neccessary. The survey is being carried out by the Irish Whale and Dolphin Group research vessel Celtic Mist in collaboration with the Shannon Dolphin and Wildlife Foundation. 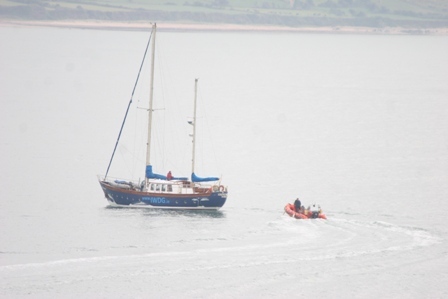 IWDG vessels Celtic Mist and Muc Mhara surveying dolphins in Brandon Bay, May 2013.